The rescues you are about to watch were filmed as they happened. 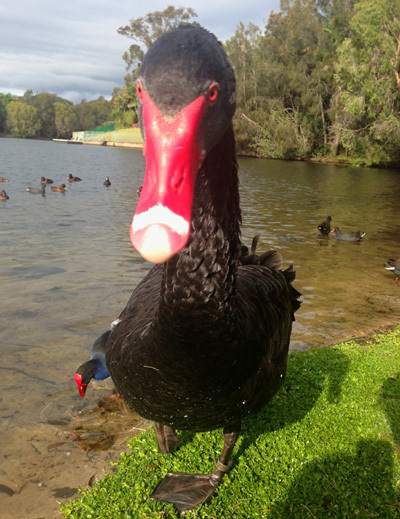 Kermit is a young black swan with a painful condition called bumble foot. This causes swellings under the feet that are excruciating to walk on. When I first caught Kermit he could barely stand. Now after weeks of treatment his bumble foot is much improved and he’s ready to go back to the lake. This darter was spotted with material wrapped around the end of its beak. The bird can’t eat and will soon starve unless caught. Darters are good flyers and powerful underwater swimmers. They are hard to approach and extremely difficult to catch. However, they have one trait that a rescuer must capitalise upon to have any hope of catching them. It’s the darters fondness for returning to the same perch. 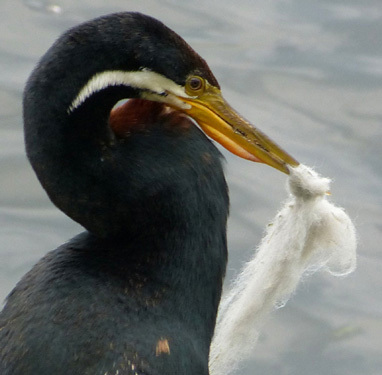 Another darter has been seen with stocking tangled on the end of its beak. This bird has to be caught quickly before it starves. 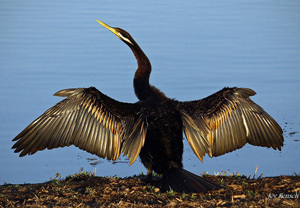 It’s a very difficult rescue because the darter is wary and won’t come ashore. Its favourite perch is a small floating pontoon anchored nearly 20 metres (65ft) offshore. Even after the threat of starvation has been removed this darters’ trouble is not yet over. It will have to fight to reclaim its territory. 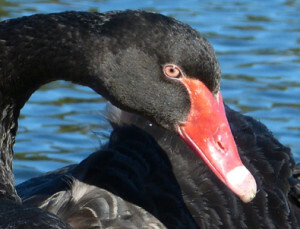 A swan has been seen struggling on the bank of a lake with what the caller thinks might be a shark hook protruding from its back. Fish hook injuries and fishing line entanglements are two of the most prevalent injuries that I’m called to attend. Most birds can be saved if rescued quickly. However, tragically some suffer irreparable damage and have to be humanely put down. On this morning I’ve travelled to a suburban Gold Coast home for my third attempt at catching an ibis that has fishing line entangled around one of its feet. The line will amputate the bird’s toes unless it can be caught and the fishing line removed. However, this rescue attempt is about to be disrupted by some unexpected visitors. I get hundreds of rescue calls every year about birds with fishing line entanglements. These injuries occur because many fishers are irresponsible and drop offcuts of line on the ground in areas frequented by foraging birds (which is practically everywhere!) The solution to this problem is simple. Wind any unwanted fishing line into a ball and place it in a rubbish bin. That alone can prevent untold suffering. A 4 week old cygnet had become hooked and entangled in fishing line. I caught the bird and took it to Currumbin Wildlife Hospital where they removed the hook and line. They retained her overnight for observation and I collected her from hospital in the morning. It took me some time to find her family but now they are in the waterway in front of me and I’m about to release her. The cygnets name is Ting Ting.